Shop up to 50% off monitors, docks, printers and more for all your business needs. See work come alive with rich colors and score a $100 Dell Promo eGift Card. 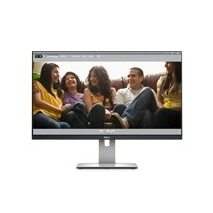 2Get 25% off UltraSharp Monitors. Select optimal size based on your needs for work. Select best option based on use. Get the best value at every price level. Decide based on technology for unparalleled visual experience. Evaluate monitors based on the series most critical to your work needs.